Each and every 4WD owner in Lilydale knows that obviously car repairs are not cheap. This is a time of modern technology, so cars are so modern and advanced. These day's cars face problems mainly for fuel-efficiency, performance, or most importantly safety. While considering all the advantages of a new 4WD, you have to think about the maintenance or repair costs at the same time. Though tire replacement is not considered as repairing, it definitely comes under vehicle maintenance. The average set of tires are capable to last from two to four good years, after that it is important to get them replaced. A good set of 4WD tires are quite expensive. Damaged rims from hitting curbs, or to land on potholes is also a common auto repair in every 4WD service centre in Lilydale. The brakes are undoubtedly the essential component of your car and it requires great maintenance. The causes of the braking issues can be numerous, but the most usual is worn out brake pads and discs. It requires you to visit a 4WD service centre and have the brakes replaced. 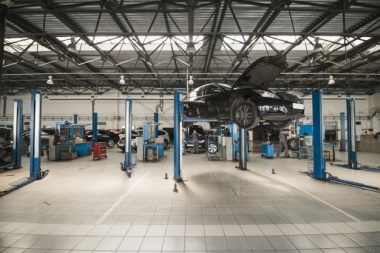 Based on the type of vehicle you own, this repairing method may differ. Maximum cars will require a new set of brake pads after reaching 40,000 miles or above. Tire Pressure Monitoring Systems (TPMS) is incredibly helpful in alerting drivers. This system is as advanced as other modern technology. This system particularly helps to provide accurate data on the tire pressure. Usual repairs include the problem with the sensor, the light issue is generally a sensor problem. The cost will vary on what type of 4WD you own. Maximum car batteries last from 4 to 6 years, after that it is essential for car owners to replace them. This is one of the major reasons why it is advised for checking your battery light always. or you can visit the 4WD service centre to have it checked once in a while. Owning your desired 4WD is not the ultimate job. You have to pamper it, maintain it with the help of proper 4WD service centres. In this case, Lilydale motors can help you, from repairing to replacing. Get the professional help and keep your car lively.